What do you do when you need to urgently pay your tax bill? If you’re Mark Zuckerberg, the answer apparently lies in a $2.3 billion dollar stock sale. Facebook’s founder and CEO is in the process of exercising a range of options that date back to the origins of Facebook. These options carry a hefty tax liability, and that is reportedly the core reason behind this stock sale. In a recently released press release, Facebook revealed that they “intend to use the net proceeds of the offering for working capital and other general corporate purposes,”. Zuck is not the only early stage Facebooker to be taking this opportunity to exercise a partial exit. Marc Anderson – one of the company’s investors – is taking the opportunity to sell 1.6 million shares in Facebook, which at the current market valuation of $54 per share, equates to $86.4 million. In total, Zuckerberg is selling 41.35 million shares out of the allocation of 70 million, meaning his stock accounts for over 50% of the raise. That leaves 27.05 million shares which are all newly released. This comes at the end of a stellar year for both Zuckerberg and the company he founded. The company’s value has grown 108% over 2013, and in doing so has more than doubled Zuckerberg’s personal wealth. 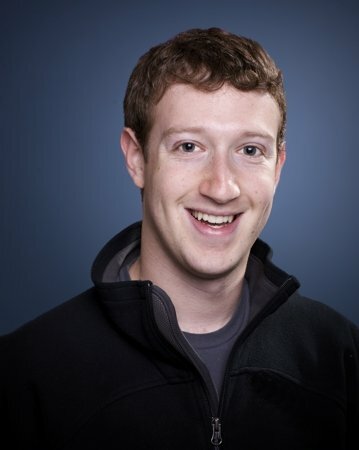 According to Forbes, Zuckerberg is now worth over $19 billion dollars.